Skyrim: Special Edition is a buggy mess on consoles. In just a few hours playing on Xbox One, I encountered NPCs floating above chairs, twitchy mammoths, seconds-long pauses in animation, echoing dialogue and other glitches that are unforgivable for a game that came out in 2011 and, in 2016, costs $60 on console. That price tag is likely a combination of Special Edition’s DLC pack-ins and mod support, as well as “remastered art and effects,” “dynamic depth of field” and, thankfully, “volumetric god rays.” Despite these improvements, many other players on Xbox One have reported freezing, bad frame rates, stuck NPCs, vanishing weapons and semi-frequent crashes, all without added mods in the game. 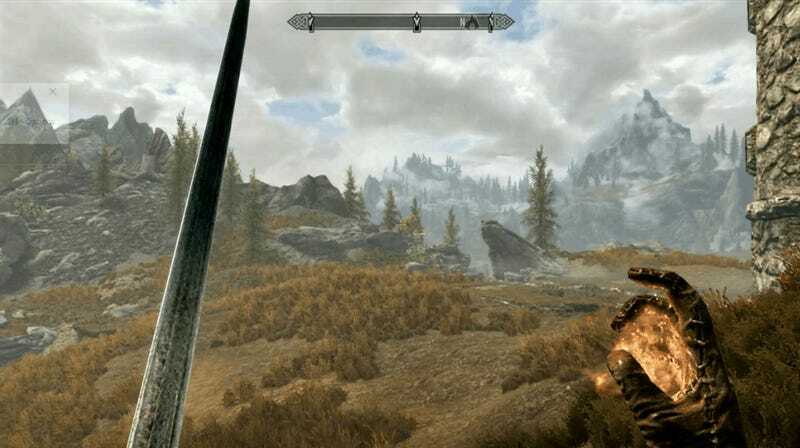 Actually, the most popular mod for Skyrim Special Edition is a comprehensive and unofficial patch mod for consoles. To give you a sense of the jankiness, I spent 17 minutes and 20 seconds capturing footage of Skyrim Special Edition on Xbox this morning for this article. I expected to need more time. It was not necessary. 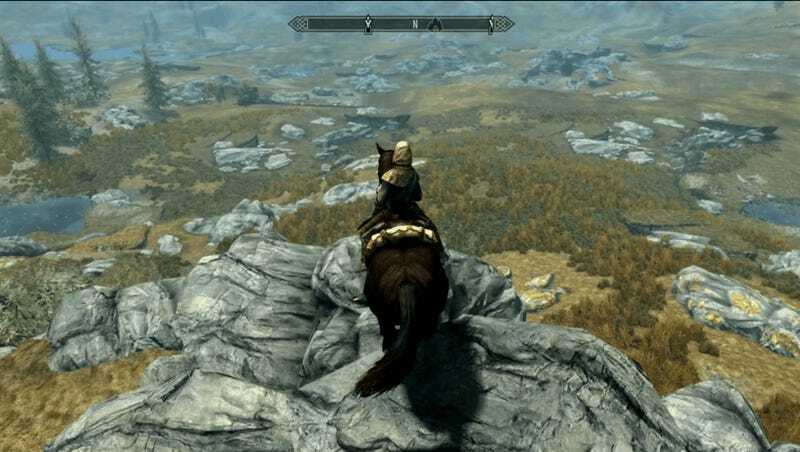 Here, I was riding a horse over some rocks. My horse slowly tilted downward and face-planted—literally—inside a boulder. Here, the draw distance is very sad. Not-too-far-off landscape appears clumsily, bit by bit, in many of Skyrim: Special Edition’s zones. I soon encountered a mammoth, encountering a rock, encountering some turbulence. Fasten your seatbelt. 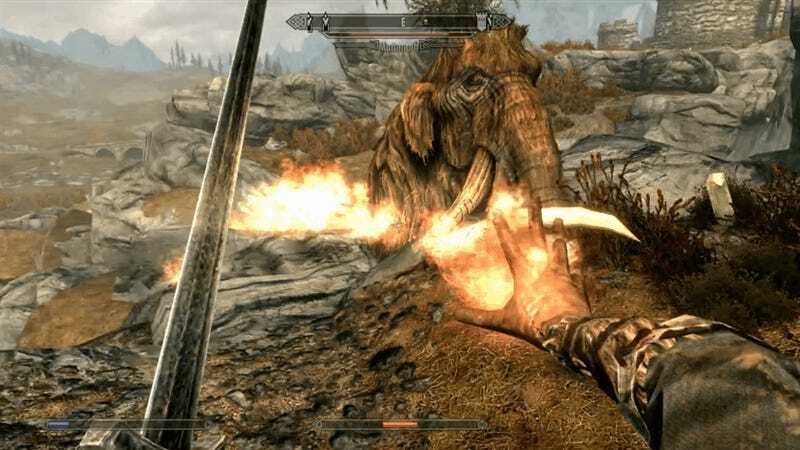 And then, I thought, why not use some destruction magic on that mammoth? I did not think it would hide inside the ground. 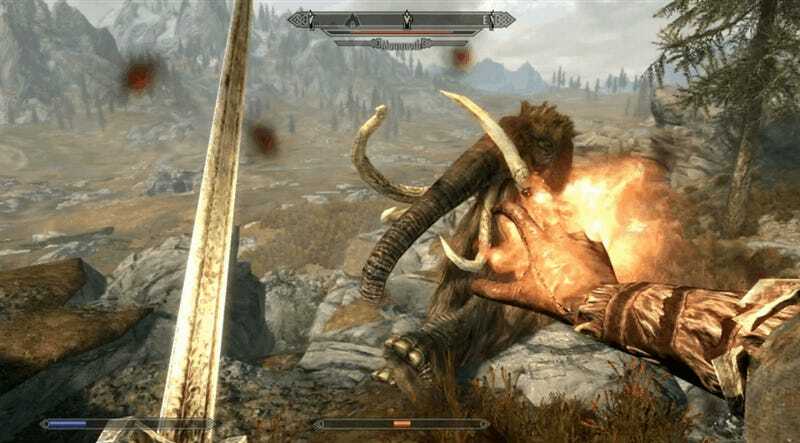 Here, the mammoth is still stuck inside a rock, but also, look at those awful 2D-ish plant textures. Look at them! 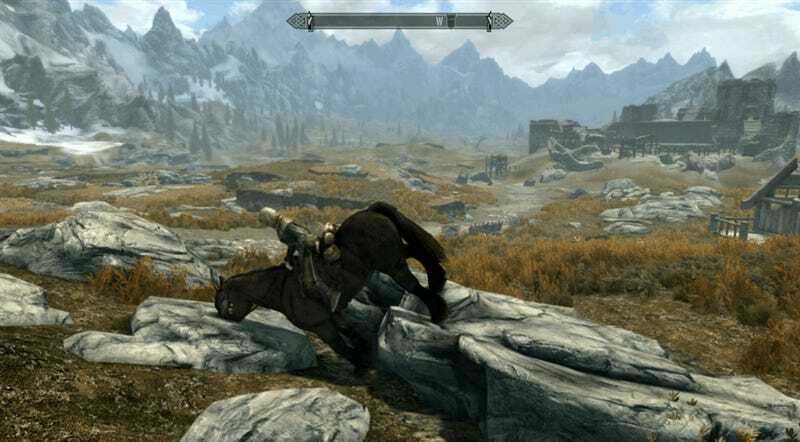 Later, I found my horse again. We shared a brief and wild ride, during which I was thrown onto the ground. That pause in the animation is from the game, and not my gif-making software. It’s the same for the mid-air camera shift. Ah, yes, that time a crab materialized from the Earth, with little resistance from the ground. Camouflage or remastered physics? Heather also noticed that “updated lighting and particle effects rest side by side with low resolution textures and a poor draw distance. 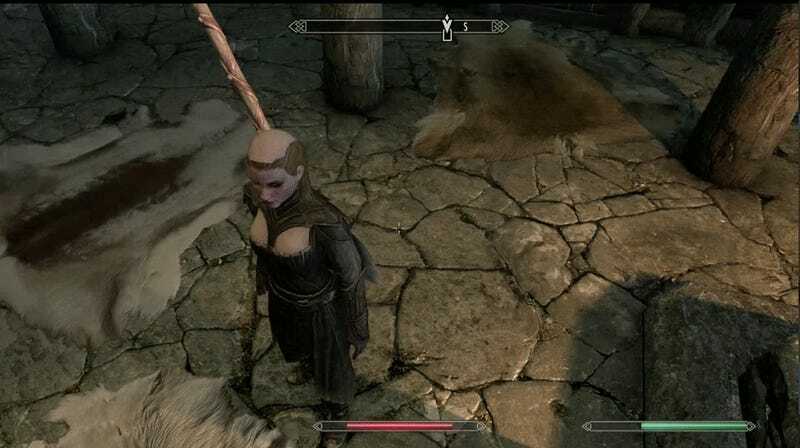 At one point, my character went partially bald. These small flaws added up over time. The game world itself lacks the polish seen in the game’s trailer,” she said. 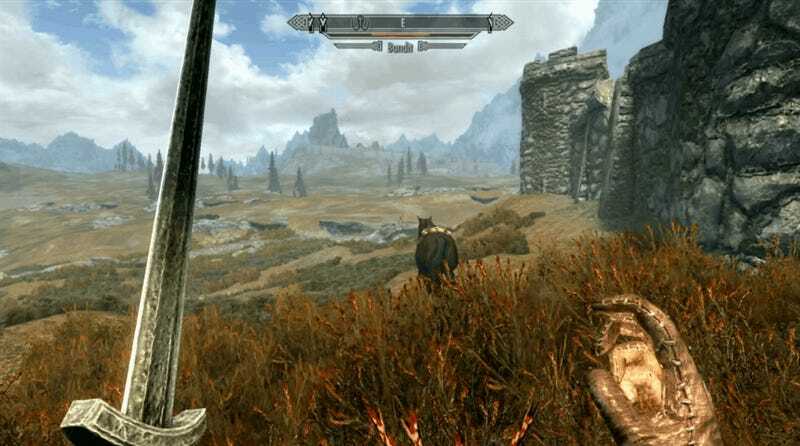 Bethesda’s policy, announced late October, is to not furnish media with advanced review copies until a day before the game’s release, a decision that inevitably delays reports on Skyrim’s stability. 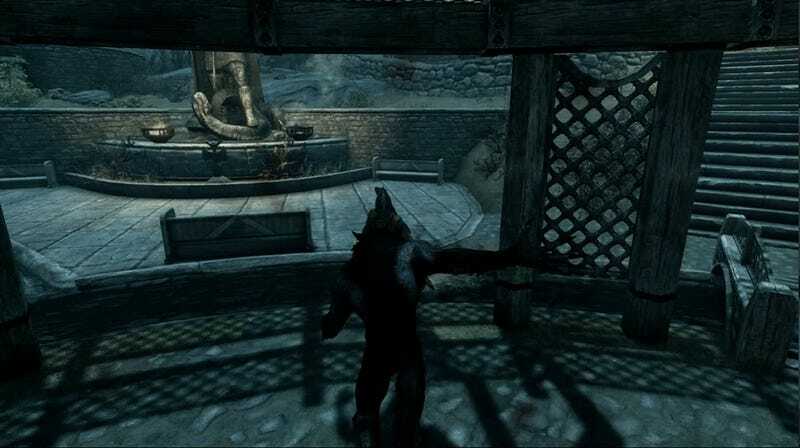 Veteran Skyrim players probably expected some jankiness going in, given that the original game is also infamous for bugs, but even so, these disruptive glitches should be unacceptable in 2016. 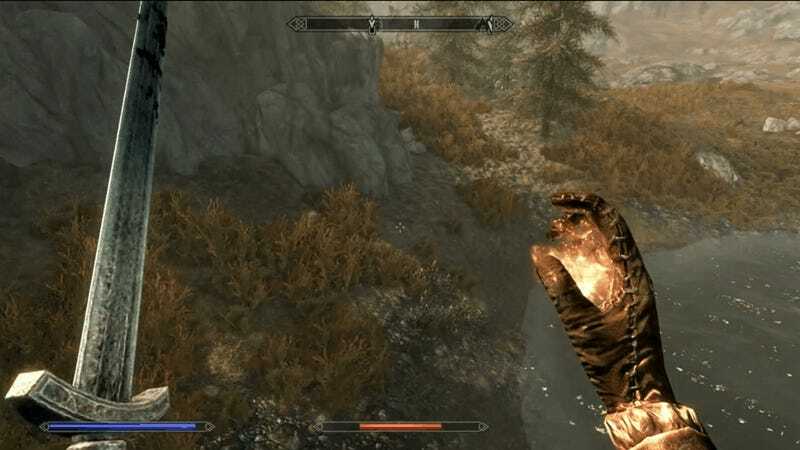 Skyrim Special Edition does offer a lot of new content: Dawnguard, Hearthfire and Dragonborn, as well as thousands upon thousands of mods that justify playing through it again, or for the first time, if you missed it originally. That being said, the popularity of the unofficial patch mod, which aims to fix many of Bethesda’s blunders, is telling. 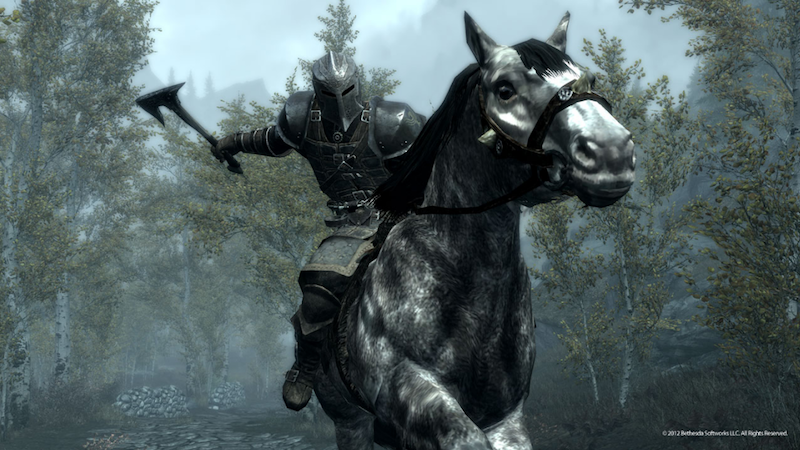 Players aren’t rushing to make Skyrim sexier, or to add wild nonsense mods: They want a game that runs decently.